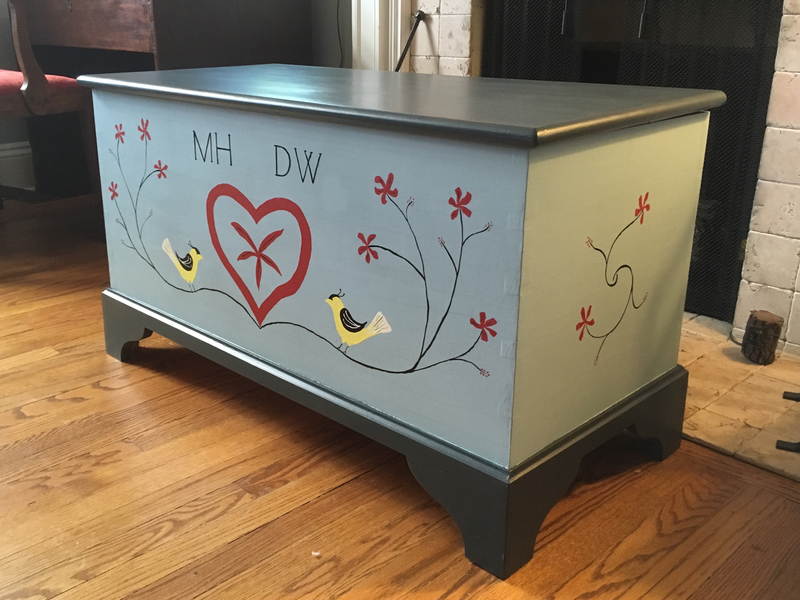 This winter I built a Pennsylvania Dutch blanket chest. 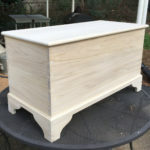 You can see pretty clearly what it is from the photos: it’s a chest, and you put your blankets in it. 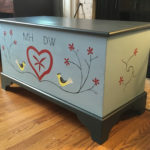 But that term “Pennsylvania Dutch blanket chest” is tricky: it refers almost exclusively to antiques, and so it might seem proper to call this a Pennsylvania Dutch style blanket chest — but it is, in fact, Pennsylvania Dutch, because I’m Pennsylvania Dutch, and I built it. 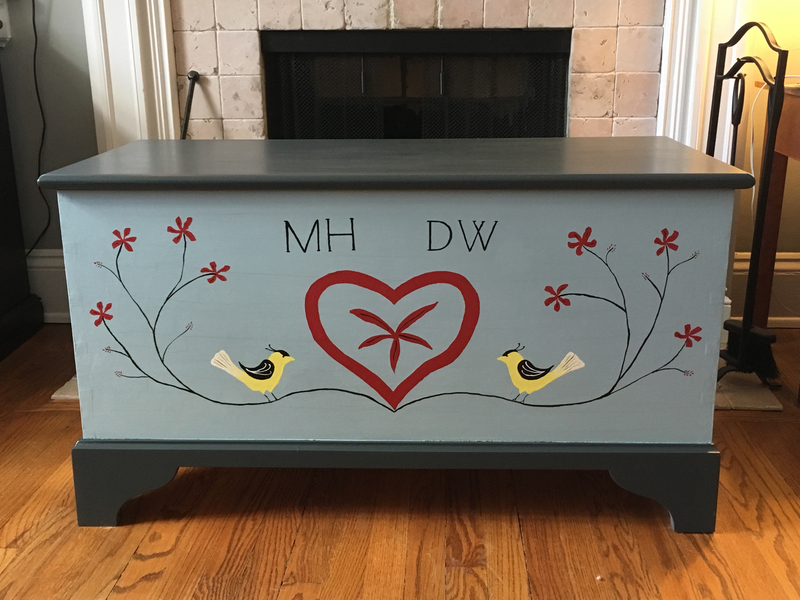 It is also, in both construction and decoration, in keeping with both the form and the spirit of traditional (pre-1850) Pennsylvania blanket chests, and not only because I stuck a heart and some goldfinches on it. 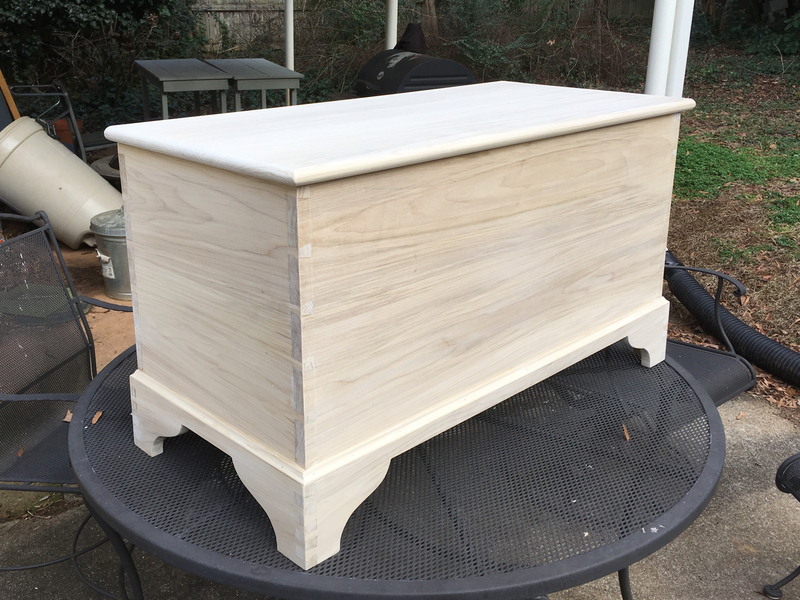 It isn’t a flat-sided New England six-board chest; it’s got decorative molding and a scroll-cut plinth (base). 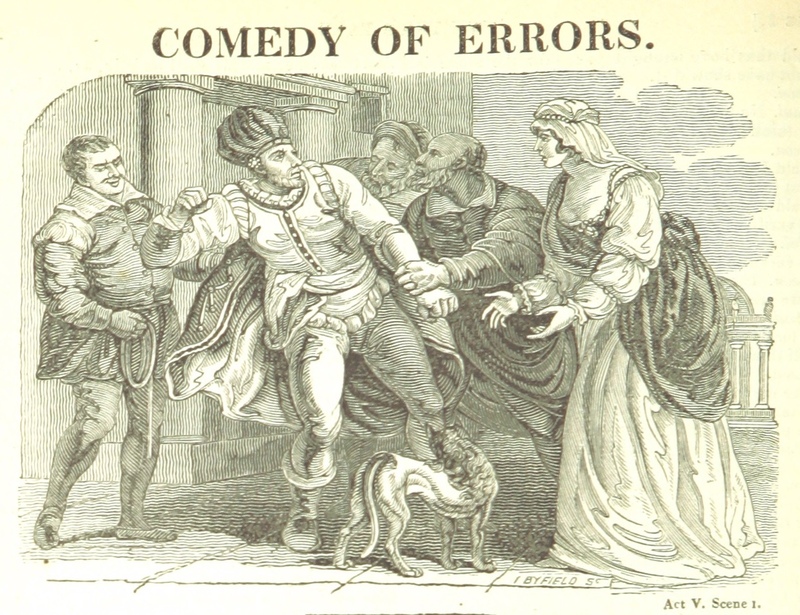 But the molding is simple, and it isn’t built of figured maple or imported mahogany, as some rich merchant or southern planter might want; it’s made of inexpensive wood (poplar) and painted. 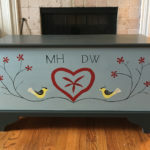 The painting is “just for pretty” but it relies on simple forms and on the skill and individual creativity of the maker rather than on expensive materials for its aesthetic value. It’s both practical and decorative, and there’s no competition between those qualities. Time to get serious, now. Thanksgiving is only a day away, and if you haven’t started your preparations yet, you’d best get cracking. I don’t mean brining the turkey or kneading bread dough: I mean being thankful. The point of setting this day aside isn’t just to eat. And yet, of course, to show our gratitude, we hold a feast. How, exactly, is a feast supposed to make us thankful? Since I’ve written a couple of times about working on a shaving horse, I suppose I should post some examples of what I’ve been able to do on it. So far, two stools, functional and good-enough looking, and good projects for building skills.